In lieu of upcoming Spring and Summer vegetation, homeowners are using hop pole and trellis designs for their gardens. These items in the garden manipulate vines and other hanging plants with garden wires, hop poles, and pre-made trellis structures. Landscapers and homeowner enthusiasts often explore different ways to use these designs, which we’ll talk about in this article. Hop poles and trellis designs are a combination of wooden logs, wires (small ropes), and plants. The hop poles are the logs used to hold up the wire and rope. Plants twine around the wire and rope known as a trellis. When the plant develops, the trellis will have a canopy of leaves and blossoms. Trellis can be purchased in their completed states. Many home improvement and garden retailers will have them. They come in various designs and materials. Most of them rest on the side of the home or stand as a garden oasis for colorful blooms on vines. Sometimes, pre-made trellis get confused as arbors. Although their functions are the same the locale of these structures vary. Arbors can be an entrance to a garden, outdoor patio, or pergola. Flagpole – The most basic hop pole and trellis design out of the four common types. Three lines extend from the top and tie to stakes on the ground allowing the growth of the hop to travel to the peak of the pole. It’s simple design can cause clumps during growth. Conduct maintenance regularly to prevent it. Teepee – This method is like the flagpole design but much stronger. The frame of the hop poles resembles a teepee. Three lines are tied from the peak of the trellis (like the flagpole design). Clothes Line – This type of trellis design mimics a clothes line with three lines extending from each side. Also, this design is less likely to encounter clumps in the design. House Eve – This trellis design uses hop poles to cover part of the a home such as hop pole attached to a deck or pergola where a plant will eventually grow over the structure’s entire design. Hop poles allow the designer to exercise more freedom with trellis. Store bought trellis restrict designers to the already built structure. However, a hop pole trellis won’t have those restrictions. Even though you can construct a hop pole and trellis at your leisure, it’s important to know what variety your design will be. Landscape professionals identify these designs in three categories: American, British, and Continental European. American – The American designs for hop pole and trellis are large and durable. American designs produce high vegetation, so landscapers suggest you space the hop poles out farther. British – The British model are shorter yet produce more density. The row spacing is smaller as well. Continental European – Expect the European design to be like the British design. It’s not commonly seen in the U.S. but expect it to fall in the same design structures as the British type. Commercial landscapers suggest hop poles be 22 to 25 feet. Three to four feet of the hop pole will go into the ground. Commercial landscape will have at least 18 feet above the ground. The height will complement the room needed for plants to fill out on garden wire. Smaller hop poles are not ideal for commercial landscapes. For residential areas, a homeowner may select a smaller pole. The plant’s growth may be dense like the British and Continental European design. As far as spacing goes, American row layouts should be space 13 to 14 feet from each hop pole or hop pole structure. Plants, however, should be spaced at four feet at most. Professional trellis designers urge 12 to 14 feet hop pole spacing for British and European types, and plant spacing should be two to three feet apart. A great hop pole and trellis design won’t mean much if you don’t have a drainage system. Flood water could erode the soil where your hop poles are. In addition, the standing water could introduce unwanted minerals, bacteria, and fungi to the plants you want to grow. Therefore, it’s important to install an efficient patio drainage system in your garden. Go with a French Drain system. It’s cost efficient and does wonders if properly installed. Include several catch basins to ensure water won’t ruin your garden. Hop poles and trellis designing is a rewarding experience when it’s finished, but the labor that comes with it can be frustrating for you. Locating the materials alone could throw you into a loop. Consult landscape professionals. They’re networked with various companies that are better equipped with handling the material needed. Besides, their experienced with harsh labor needed to finish the job. 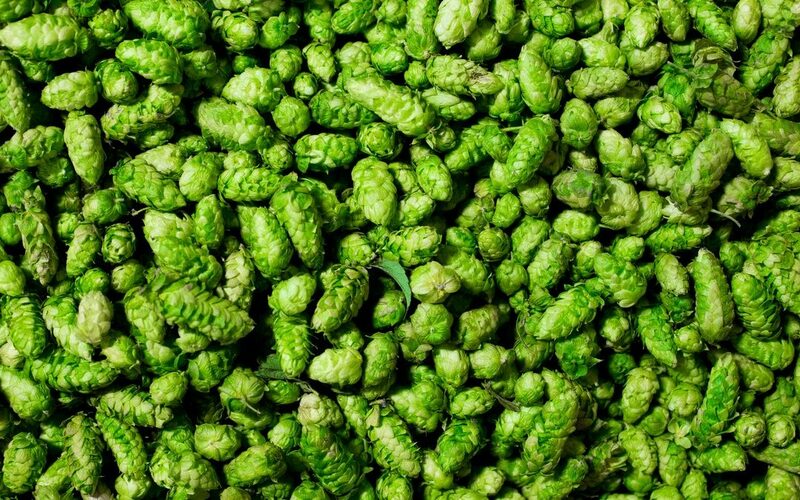 Looking to learn more about our hops operation and Iowa hops?